Are you bracing right now for riots, other forms of civil unrest, or a natural disaster? If so, then you also know that you may have to leave your home and try to reach a safer location. A bug out bag is critical if you expect to reach safety. Many people that buy or build their own bug out bags may be surprised to learn that there are 10 common, but fatal mistakes that are often overlooked. Or, in the words of John Steinbeck, “People don’t take trips, trips take people.” This article provides information on how to identify possible problems with bug out bags and how to fix them. Preppers, like other people, have a tendency to over pack, even though they know that they may be traveling on foot while carrying the pack. 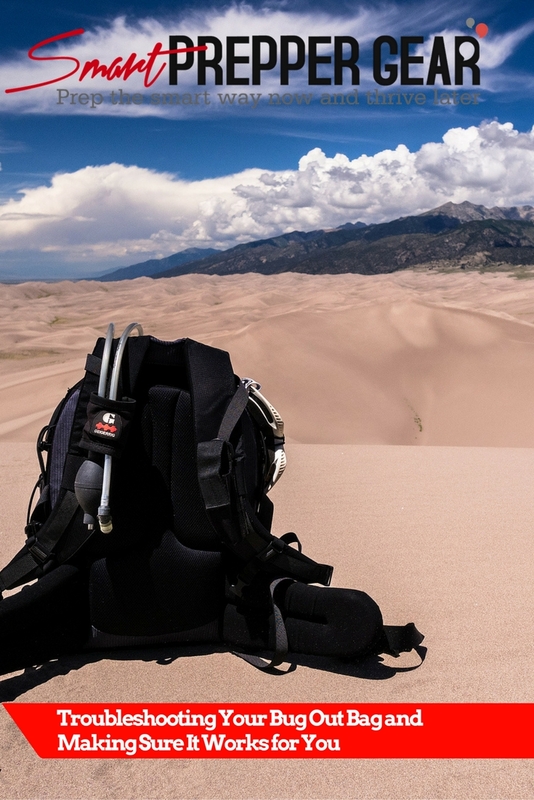 If the backpack pinches, binds, does not allow free movement of your arms and legs, or if the straps cut into your arms, neck, or armpits, then you need to get a different bag, adjust the straps, or reposition items so the pack is more comfortable to carry. Can you lift the fully packed bag and carry it around the house? Are you in good enough shape to walk 12 – 15 miles a day with it on your back? If not, don’t assume that an overweight pack is “OK” because the supplies will be used up as you go along, or because you are wearing back or abdominal support belts. Back strains and other injuries from trying to carry too much weight can happen within hours and prevent you from going anywhere. If you cannot carry the pack as it is now, you can lighten the pack to the point where you can carry it 12 – 15 miles a day without injuring yourself. You can also try to improve your physical fitness so that you can carry more weight. A frame is very important for keeping contents inside the pack from sticking into your back. It is also useful for redistributing weight so that you reduce the risk of losing your balance. To fix this problem, I personally recommend getting a backpack with a frame that extends at least two feet below the pack. Choose one that also has attachment points above the pack to accommodate light storage bags to sit on top of the pack. Remember always keep the heavier items on the frame below the pack so you are not top heavy. Rain, wading through a river, and many other situations can cause all your precious supplies and tools to become saturated by water. The best way to fix this problem is to start off with a waterproof backpack. 1 – 2 small, waterproof, zipped pockets on the left and right side of the pack. If your bug out bag does not have all these compartments, at least make sure that you have your gear and supplies organized with containers on the inside. Within each category of supply, do not forget to include mini kits, separate container for small items that tend to get lost, and a highly visible list of everything in the container. Have you ever bought a screwdriver kit or saw from the dollar store? Did it break or fail faster than expected? If so, then you already know just how dangerous this same problem could be in a life or death situation. The best way to fix this problem is to make a list of everything that is, or will go in the bag, and its priority level. For each item, research to find out which tools offer the best quality. If you already have sub-par items in your bag, replace the most important ones first with better quality items, and then replace the rest. There are some people that buy the best or newest fangled equipment available, but never learn how to use the gear correctly. Fixing this problem is as simple as practicing as often as possible with each item in the bag. You should always feel competent and be comfortable with your skills. When you have several tools that are only used for one thing, it contributes to the weight problem and also leads to confusion. Combination knife and small tool sets can cut down on weight without sacrificing usability. Even though your backpack may be waterproof, an open zipper can cause everything in that compartment to become waterlogged. Fixing this problem is as simple as using waterproof, Ziploc bags or hard plastic, resealable containers. If you are missing out on any of the key categories listed below, your bag will do little more than give you a false sense of security. How much or little you put in the bag for each category will depend largely on how much you can carry. Basic tools such as goggles, knives, screwdrivers, rope, and a hammer. Important personal papers, money in small denomination bills, prepaid debit card, and small change. After you have your bug out bag packed up and ready to go, don’t just put it away until needed. Test out the bag to see how well you can carry it and find out if items in the bag need repositioning for added comfort. Do a test run of how the pack performs in the field. If you wind up needing things that aren’t in the pack, tools break, or other problems arise, then take care of these matters until you have everything you need. Do not forget to keep track of expiration dates and replace perishables as needed. Addressing the problems mentioned above to build a bug out bag that works for you, enough practice to hone your survival skills and the right mindset to overcome any difficult situation will arm you with everything you need to increase your chances to face a disaster and survive it. 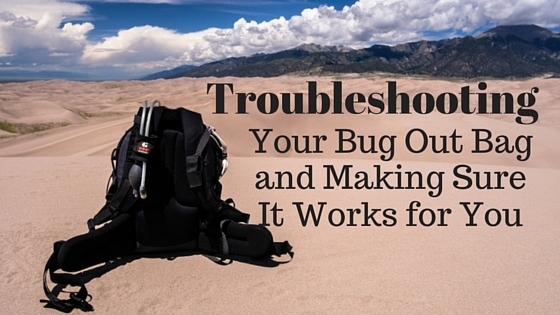 What mistakes have you noticed in your own bug out bag? How did you fix these problems, or how do you plan to fix them. Please feel free to comment in the discussion box below this article. I am an Eagle Scout and a retired police officer. I love the great outdoors and I am very conservation minded. It is my wish to pass along to other generations what I have learned in my lifetime. I am a champion marksman with handguns, rifles, and shotguns. You can read more of my articles on Survivors Fortress. Follow us on Twitter.